Maria Bingo | 3 Welcome Bonuses + 40 FREE Spins! Maria Bingo is part of the larger Maria Casino and Kindred group which offers online bingo as well as casino games, Poker, slots, and sports betting. 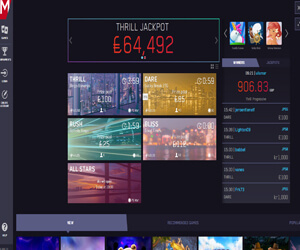 Licensed by the UK Gambling Commission and run by Platinum Gaming, players at Maria Bingo can expect a top quality gaming experience that is 100% safe and secure. With a wide variety of bingo and casino games to choose from and exciting promotions, Maria Bingo is definitely one of online bingo sites you should check out! When you start off at Maria Bingo you can enjoy some pretty nice bonuses right away. What’s great is that you can choose from 3 different Sign up Bonuses for a more customized bingo welcome. To start playing, simply choose the bonus that suits you best and grab your Maria Bingo free spins bonus for Starburst too! Another bingo bonus at the site is known for is 14 days if no deposit bingo for beginners. This is the perfect place to play if you’re new to bingo or if you love bingo freebies! This room is called Lucky and is open every day between 5pm and 6pm for an hour of 75 ball bingo fun with real winning chances. There are always new and limited time promotions to look out for like July’s £10,000 Scratch Card promo. How does it work? For every £5 spent on bingo games, you’ll get a free scratch card with a potential win of £10k jackpot. You can get up to 3 free scratch cards daily to increase your chances. While this is a limited time promo, you can get an idea of the amazing giveaways that can be found at Maria Bingo. Watch this space for the latest exclusive bingo coupon codes! Maria Bingo has many bingo rooms with different kinds of jackpots. Thrill and Bliss and All Stars are 75 ball bingo rooms with increasing progressive jackpots. If you are more of a 90 ball bingo fan you can play in Rush and Dare for loads of fun wins! You can win even more with Maria Bingo mini games which you can play alongside your bingo games. Boost your bankroll when you play these side games such as Money Mansion, Old Macdonald, Rainbow Rush, and Cuddly Cuties. 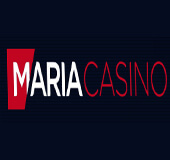 Plus, as a Maria Bingo member you can access all of Maria Casino games. Enjoy hundreds of slots, table games, scratch cards, keno, roulette, live casino games, video poker, and more. Have to run out? You can take all the Maria Bingo and Casino fun with you! Get the iOS or Android app and play from your smartphone and tablet. Alternatively you can also visit Maria Bingo on your mobile web browser and access all the fun and games on offer. Play bingo, slots, and casino games from your mobile as well as get bonuses, make deposits, and withdraw your winnings from the plam of your hand!